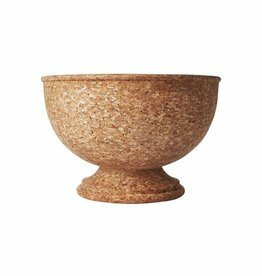 With its rich textural warmth and streamlined classic shape, this bowl makes a statement upon every occasion - be it filled with ice cubes and gleaming bottles to serve a crowd or as a stunning centerpiece of flowers for grand effect. We love this look and performance. Wood over stainless steel. Rustic bar. Wine and Cheese. Organic. Doff your hat to this most definitely a masculine touch on a bar. Leather over metal. 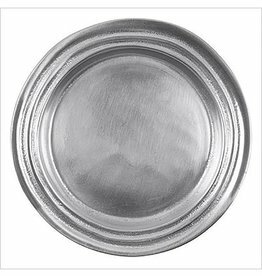 Softly polished wine plate, holds most bottles of wine. 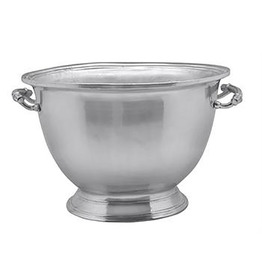 An elegant detail for any bar cart or celebratory table. This distinctive pyramid design is hinged at the top. When opened, it is secured with a hinged metal brace. Folds flat for storage or moving. 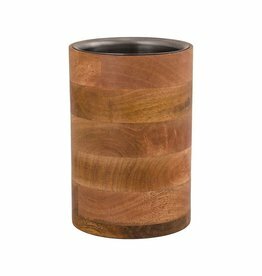 Wood with a distressed black finish. Clean with a dry, soft cloth. Indoors or out, this beautifully hand made woven reed chiller suits your relaxed lifestyle. Galvanized bucket liner. If you like this piece, we have lots of great woven reed items for cooking and entertaining. This great piece lands on every gift registry. 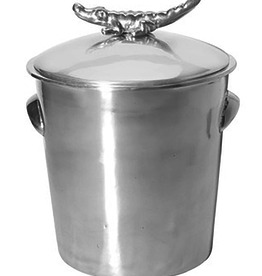 Holds ice, perfectly sized for a bottle of wine or champagne. Personalize it to make it a perfect shower or housewarming gift! Wood wrapped around stainless steel. Great organic look for your wine bar. Great for wedding registry or rustic look. Wine and cheese! 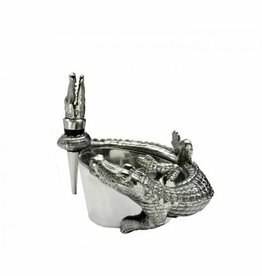 Make your guests talk about the barware as much as the drinks with Arthur Court's Alligator Wine Coaster and Stopper Set. Perfect for two. You'll have it forever. 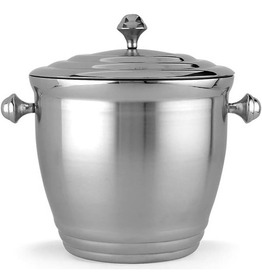 A sophisticated edition to your next party, our softly polished Classic Ice Bucket is both timeless and elegant. Handcrafted from 100% recycled aluminum. 100% recycled materials. Made by hand. We have a gift for tradition, reimagined, in our String of Pearl collection. 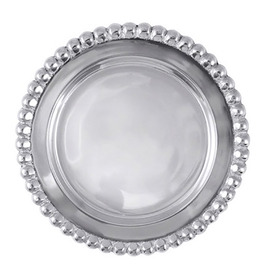 A beaded border surrounds this multi-functional piece, sized to fit a bottle of wine or candle. 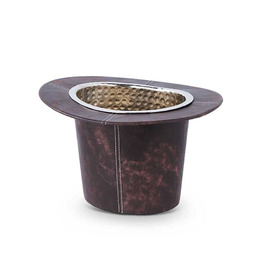 Our Newport Wine Coaster offers an exceptional blend of form and function, because your finest wines deserve an exemplary presentation. Perfect for chilling bottles of white wine and champagne, this premium glass ice bucket is also ideal for cooling a pitcher of martinis. Or you can fill it with ice.